This powerful approach to developing effective leaders uses the latest research into leadership best practices. 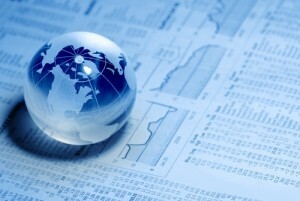 Everything DiSC Work of Leaders® provides a simple compelling model that helps leaders to get real results. It connects unique leadership styles to real-world demands, focusing on the tangible steps leaders can take to effectively move an organisation forward. Bringing together best practices from 300 experts in over 150 organisations, the important work of the most prominent scholars, and over four years of additional research and development. With one unified model of leadership—vision, alignment, and execution—it focuses on helping leaders understand their own leadership styles and how their tendencies influence their effectiveness in specific leadership situations. 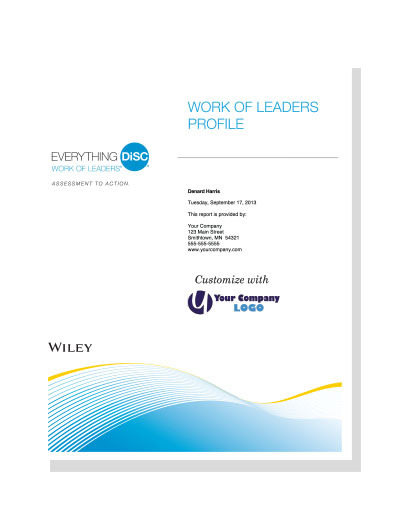 Everything DiSC Work of Leaders® lays out a clear path for helping leaders at all levels make the connection between their DiSC® style and leadership. Based on small groups of participants to allow effective learning as individuals enhanced by group experience and interaction. Five modules are covered in the one day course. The programme can be extended for in-house groups to allow practical application and reflective learning over an extended period. Lunch and refreshments included. 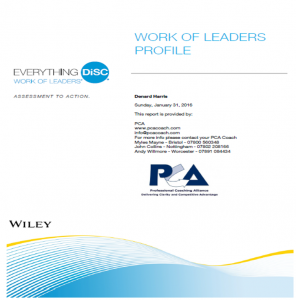 An Everything DiSC Work of Leaders profile is included – see sample on this page. This requires completion of an online questionnaire prior to attending the course. A link will be sent to participants once their booking has been made.